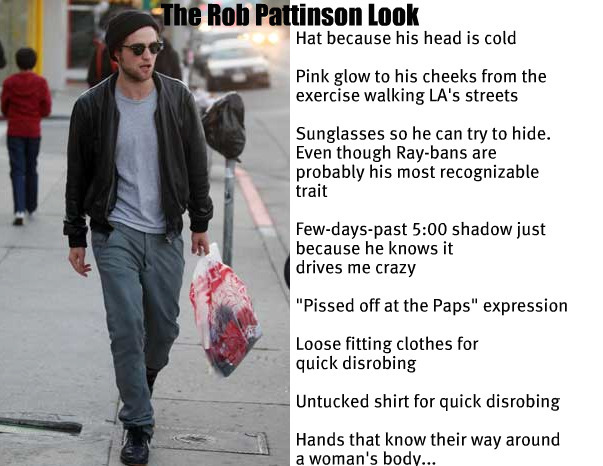 Monday Funnies: Rob Pattinson or…. I’ve made it quite known over the years that I don’t need you to be a clean-cut, perfectly dressed example for male cleanliness & high-fashion (although I wouldn’t mind if you went through a Don Draper phase- just putting it out there)- I like you the way you are- flaws & all. What might bother some girls- the musty smell like a box buried deep in the back of a closet at the Salvation Army, or the slightly crusty, dried yellowy-orange spot on your pants from when you wiped the processed cheese from the hot pocket off your hands, adds to your charm. And I’m not sure….. what is it Rob? Your own personal “look” that sets you apart? 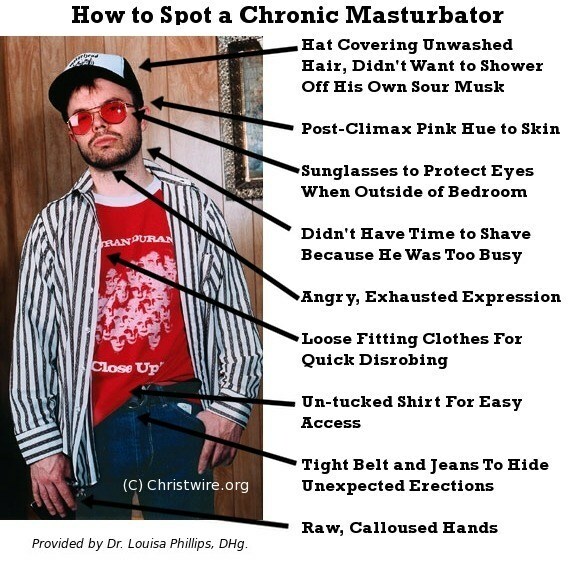 Or just the costume of your every-day chronic masterbator?